TAIPEI — Singapore's quest for a new maritime patrol aircraft, a mid-life upgrade for F-16s and possible purchase of the F-35 are among the expected areas of interest at this year's Maritime Defence Exhibition and Conference (IMDEX), experts say. 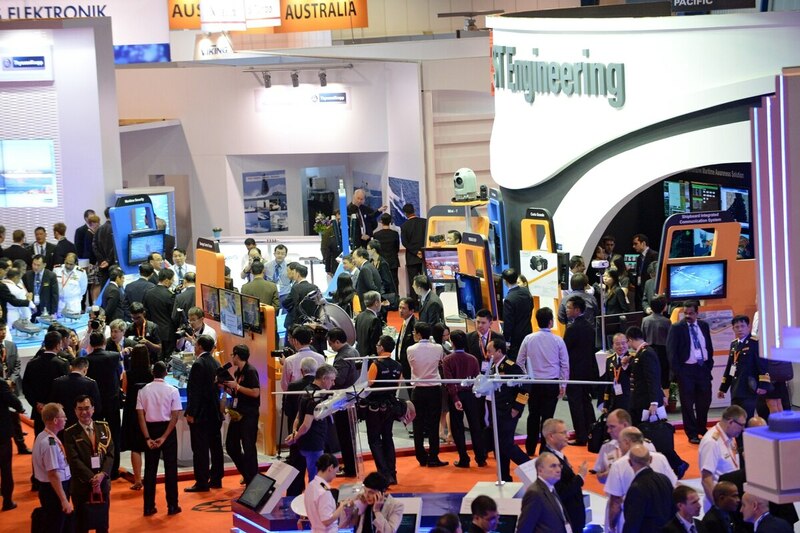 The 10th biennial IMDEX will be held at Singapore's Changi Exhibition Centre from May 19-20. This will be Defense News' fifth IMDEX coverage, begun in 2007. Show officials have said this year will have many new attractions, including the first India pavilion. The India pavilion will join seven other country pavilions: France, Germany, Israel, Italy, Singapore, United Kingdom and the United States. The US presence will include three naval vessels: the littoral combat ship Fort Worth, the destroyer Mustin and the SSN-752 Los Angeles-class fast-attack submarine. The class-leading LCS Freedom attended the show in 2013. US defense companies exhibiting this year will include Caterpillar, General Dynamics, L-3, Lockheed Martin, Northrop Grumman and Sikorsky. Overall, Singapore's leadership position in the region and its role in safeguarding the sea lines of communication and anti-piracy missions makes IMDEX a must-attend event for international defense industry and government officials. Navy chiefs from 24 countries will be attending, along with including 20 warships from 12 countries. The US Pacific Command (PACOM) will be sending Adm. Michelle Howard, vice chief of naval operations, will make. She will be making remarks at the International Maritime Security Conference (IMSC) on May 20. Other conferences this year include the International Naval Engineering Conference on May 20 with US Rear Adm. Mathias Winter, chief of naval research, U.S. Navy, as a speaker The, and the 15th Asia-Pacific Submarine Conference from May 19-21 will feature with Rear Adm.iral Phillip G. Sawyer, commander of the Pacific Submarine Force, U.S. PACOM, in attendance. This show will most likely focus on the next maritime patrol aircraft (MPA), which would Defense analysts and industry sources in Singapore say indicate that the focus this year will be on Singapore's plans for a new maritime patrol aircraft (MPA) to replace Singapore's Fokker 50. The Singapore Air Force has nine Fokker 50s serving as both an MPA and utility aircraft. They are assigned to the 121 Squadron at Changi Airbase and can be armed with either the Harpoon anti-ship missile or the EuroTorp A244 torpedo. Possible contenders are the Boeing P-8 Poseidon multimission Maritime Aircraft; a variant of the Bombardier Challenger 605 business jet dubbed the CL-605 MPA; the Saab 340 Maritime Surveillance Aircraft or the Swordfish MR MPA (Saab 2000 airliner); and the new variant of Dash-8 dubbed the Q400 by Israel Aerospace Industries (IAI) and ELTA Systems, industry sources said. Singapore's Air Force is also debating the mid-life upgrade (MLU) for its F-16 fighter fleet and the possible acquisition of the F-35B joint strike fighter. "Countries are watching Singapore's decision on the type of MLU package … this is due to the fact that many assume Singapore has a fairly uncorruptable military procurement system and will select the best kit," said a defense industry analyst said. At present, Northrop Grumman and Raytheon are fighting over the active electronically scanned array radar option for the MLU. The Raytheon Advanced Combat Radar and Northrop Grumman's Scalable Agile Beam Radar are in the runoff. On recent US congressional notification regarding the F-16 MLU, Singapore's Ministry of National Defence (MINDEF) stated in a public release on May 13, in response to a recent U.S. Congressional notification (CN) for the F-16 MLU, by stating that "program negotiations are still ongoing, no contract has been signed, and MINDEF will ensure all our operational requirements are fulfilled before committing to the upgrade program detailed in the [notification]CN." Singapore's F-16s, some in service for more than 15 years, "remain the backbone of our fighter fleet" and a "critical component of Singapore's multi-layered air defense system that provides a comprehensive shield against airborne threats." Further, the MLU "will extend their lifespan and ensure that they remain operationally relevant for the next 20 years." Singapore also has a requirement for a short-takeoff and vertical-landing aircraft due its small land mass and sprawling urbanization. "The F-35B is a favorite due to the limited runway space … it also can be landed on warships, and this leads some to suggest that Singapore might procure an amphibious vessel," said a defense analyst said. This also leads to speculation that Singapore is interested in procuring the multi-mission V-22 Osprey tilt-rotor aircraft. Bell officials have confirmed Singapore's strong interest in the aircraft due to its vertical and short take-off and landing options. Singapore's Air Force is one of the few countries in Southeast Asia with a UAV Command, which is not surprising due to Singapore's leadership role in the region. The Singapore's Air Force comprises Israeli-built aircraft: IAI-built Herons, Searchers, Scouts, and Elbit-built Hermes 450s. This is dDespite Singapore's ability to produce indigenous UAVs, as evidenced by ST Engineering's Skyblade family, there appears to be little interest in the Singapore armed forces. "Unmanned vehicles will feature in several areas of IMDEX Asia 2015," said Leck Chet Lam, head organizer of this year's show. UAV exhibitors this year will include Rafael Advanced Defense Systems, ST Engineering, SAAB AB, Atlas Elektronik and Microflown Maritime, he said. The naval industrial forecast group, AMI International, predicts that the Asia Pacific region will spend around US$200 billion on new ships and submarines by 2031. "This is in-line with their economic growth and their procurement programs to better equip their forces. Technological advancement is a key factor in driving defense spending in the region as military forces modernize their aging assets and replace obsolete technology. High on the procurement lists are ships, naval craft, radar systems along with submarines and naval defense systems," said a press release by IMDEX show officials. China will be making its presence known this year in a big way. Rear Adm. Shen Jinlong, commander, South Sea Fleet, will be speaking at the IMSC on May 20, along with U.S. Admiral Howard and others. This year also marks It will be the first time that China's Navy will be sending a warship to attend IMDEX since 2007. The 4,000-ton Type 54A Jiangkai II frigate, 569 Yulin, will be on view at Changi Naval Base. In 2007, it sent the 2,250-ton Type 053H3 Jiangwei II frigate, 567 Xiangfan (later renamed the Xiangyang). Both the 569 and 567 are attached to the South Sea Fleet. Amongst Chinese exhibitors this year will be the first exhibition by the Zhejiang Hengxin Ship Equipment Company. The company manufacturers a variety of offshore coast guard and maritime patrol craft for the Chinese Coast Guard and provincial patrol agencies. These include the HX-3125 Coast Guard vessel, HX3465 offshore high-speed patrol craft, and the HX3080 offshore armed patrol boat that has a flight deck for an unmanned helicopter helo UAV and can be outfitted with a turret-mounted short-range air-defense system or a long-range cannon. The 20 warships from 12 countries at the Warships Display, include Australia (HMAS Perth), Bangladesh (BNS Dhaleshwari), Brunei (KDB Daruttaqwa ), China (CNS Yulin), India (INS Satpura and INS Kamorta), Indonesia (KRI John Lie and KRI Tombak), Malaysia (KD Lekir), Singapore (RSS Endeavour, RSS Intrepid, MV Swift Rescue; Singapore Police Coast Guard – Mako Shark), South Korea (ROKS Incheon), Sri Lanka (SLNS Sayura), Thailand (HTMS Krabi and P.G.M. 113) and the U.S. (USS Fort Worth, USS Mustin and SSN-752 Pasadena Los Angeles-class Fast-Attack Submarine).